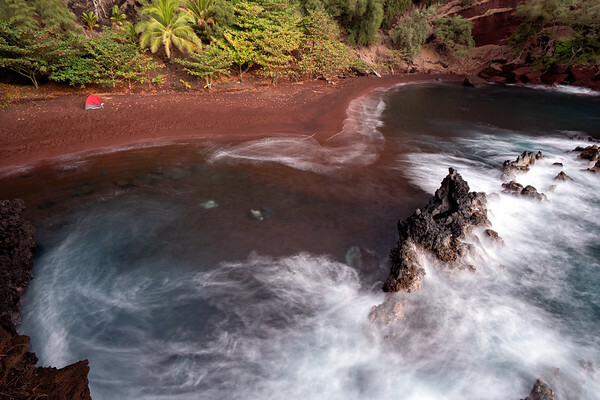 This is Kaihalulu Beach or red sand beach and is a short hike down a little path in Hana. Lots of websites say the path is dangerous, but we found it a fairly easy ten minute walk. A really cool place if you are ever in Hana, Maui, Hawaii.